Well, the ANA news continues to get better and better. 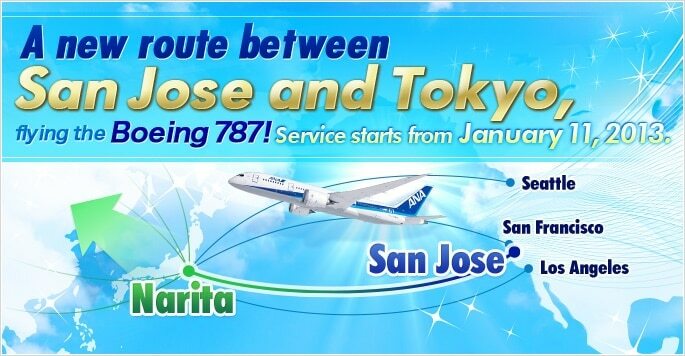 Their five-times-per-week direct flight between San Jose and Tokyo kicks off January 11th on a brand new 787 Dreamliner. Now they have announced that they are going to move from the San Francisco area to Gateway Place in San Jose, very close to SJC. This is a positive sign that if things go well with this flight they may double down on San Jose and add more routes and flights. There is already talk of making the direct flight to Tokyo 7 days a week instead of 5 in the summer.